ATLANTA - Aug. 11, 2018 - PRLog -- THM Media Group, Inc., the marketing and public relations division of The Hype Magazine, has accepted commission to function as "Agency of Record" personally for HRH Princess Erica of Banmu and in the name of the Royal Houses Banmu & Okomahene Okuapeman - Subnational Monarchy Akuapem, Eastern Region Republic of Ghana. 'By Appointment Agent to Her Royal Highness Princess Erica of Banmu & Okomahene'. In this context, THM Media Group will function as the PR/Marketing firm responsible to field all inquiries of media on behalf of the person and household of Her Royal Highness. THM will as well, advise and represent the royal household in matters of placement for outbound media initiatives and promotional campaigns across all platforms. The catalyst for this appointment came via THM Media Group partner, Dr. William Harrison who currently holds the position of Principal Private Secretary to Princess Erica. Sir William as he is formally addressed, shall dually continue to be the primary and direct point of contact for the Princess and her royal household. "Please accept this Royal Warrant of Appointment as a token of my profound gratitude for your services as Purveyors to my household. 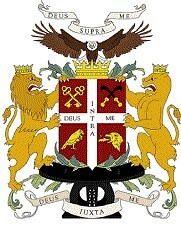 THM Media Group may henceforth display my Royal Arms, with the legend: 'By Appointment Agent to Her Royal Highness Princess Erica of Banmu & Okomahene'." : THM Media Group, Inc.